What Makes a Good Crimper? A crimper is a hand-held tool used to join two pieces of metal by bending them in a way that causes them to hold together. One example of crimping is when an electrician attaches a connector piece to the end of a cable. This is done by placing each wire into the connector, then the connector is placed into the crimping tool slot. Once the two wires are squeezed together with the crimping tool, the plastic connector is punctured while causing the wires connect. This, in turn, allows data to be transmitted through the connector. Another feature that some crimpers have is not only crimping wires but also stripping wires. This process is done by inserting the desired wire into the crimper, clamping down on the wire and pulling the wire away which pulls off the wire casing. This exposes the wire that will be used to crimp with another wire via the connector. These stripping and crimping actions can be vital when hooking up or repairing electronic systems such as television, cable, installing fixtures, installing speaker systems, adding audio systems to your vehicle, upgrading electrical outlets and other vital functions we use day to day. We conducted extensive research to find the best crimper available in the market. After thorough examination, the Klein Tools VDV226-011 ratcheting modular crimper rose above its competitors in both consistent performance and value. The steel construction with oxide finish will resist rust and enable the tool to last a long time. The comfortable grip makes it easy to use without causing hand fatigue. It covers the main wire sizes that are used in the electrical industry allowing you to use one tool for most applications. This crimper also has a mechanical ratcheting system for greater control. Crimpers are useful tools for anyone who works with wires. Given the low cost of the tool and its ability to efficiently connect wires, even occasional users will find a crimper tool useful to own. Anyone who is handy and wants to change out fixtures, install speakers or sound systems will find a crimper invaluable. If you want to install new technology in your home, need to conjoin or contour wires with connectors, or install car speakers, a crimper is what you need. People who benefit from crimping tools are electricians, auto mechanics, audio installers, and those who work with professional or home theater systems. Home owners, computer techs, cable installers, and many others will find a crimper very useful. There are many components that make up a good crimper. The first of those being the crimp size. In many cases, crimping tools will come with several slot sizes to allow you to perform various crimping tasks. For example, common crimping positions are the ability to service sizes 4, 6, and 8 position modular connectors. The ability to cover a range of sizes such as RJ11, RJ12 and RJ45 are a few of the most common models out there. The wire gauges can go up to 50, with 50 being a very small wire. The higher the number, the smaller the wire, and the lower the number the larger the wire. 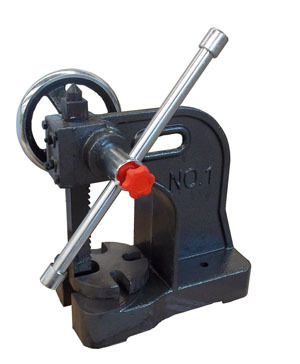 This feature enables you to use the crimper for various wire sizes. You will therefore get more versatility out of a single crimper. Another useful feature in a crimper is a full-cycle ratchet mechanism. This prevents the release of the connector prior to full compression and will ensure that your wires do not slip out of place or not be fully crimped while they are in place. The ratchet system will often include a ratchet safety release option which ensures that your handles will remain locked in place and unable to spring open without you releasing the safety. This feature helps ensure your crimp is completed before you release the handle. Ratchet features become more valuable as the wire size gets larger. Hand-held crimpers should include an ergonomic design in the handle and have a comfortable grip. These features will enable you to have a firm grip without creating hand stress during regular use. Lastly, having a blade guard will reduce the chance of injury and offer a safe and secure way to strip wires should the task present itself. We began our research by conducting a general search for crimpers that are available on the market. Crimpers are available in many qualities and those that only cost a few dollars were generally found to have very limited uses. From there we determined what features and qualities make up the best crimpers such as durability, modular size, safety release options, comfortable grip, and high levels of customer satisfaction. After reducing our list, we reviewed tool blogs, online forums, magazines, and received expert advice which allowed us to determine the best brands and models of currently available crimpers. We then consulted with prior customers and viewed dozens of customer reviews to find out which crimpers held up the best in real world performance. The Klein Tools VDV226-011 crimper is built from steel construction and has a black oxide finish for high performance and maximum durability. This crimper is capable of providing fast and accurate crimping and is efficient for both voice and data applications. The VDV226-011 is equipped for 4, 6 and 8 position modular connectors using RJ22, RJ 11/12 and RJ 45 connectors. 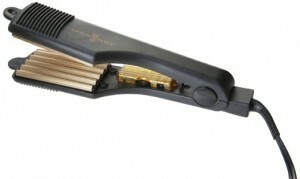 This increases the versatility and enables a single crimper to meet all of your needs. The ratcheting design prevents the connector from being released before it is fully compressed, giving you greater control on the job. The full cycle ratchet mechanism will create a non-slip environment for the materials you are crimping. The grip is designed for comfort and will reduce user fatigue if you need to complete several jobs at the same time. 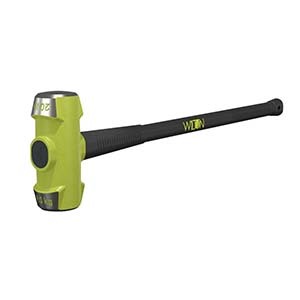 This tool is very compact at only 7.5 inches long and 4 inches wide, enabling you to reach tight spaces when needed. It is light weight making it easy to store. In addition to crimping capabilities it also is able to cut and strip wires, giving you essentially two tools in one. There is also a ratchet safety release and a blade guard. 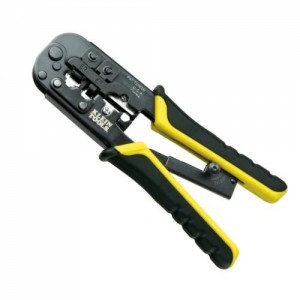 This crimper is well equipped to prep, connect, and test network, phone, CATV, home theater, satellite, and security cables for residential or commercial systems and other similar jobs. If you are looking for additional crimping action, the Fluke Networks 11212530 Modular Crimper does a great job with both thinner and heavier cables. This crimper is capable of crimping 8 positions for RJ 45 connectors, 6 positions for RJ 12 connectors, and 4 positions for RJ 11 connectors. 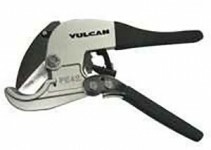 It also includes an embedded flat cable cutter and stripper for super easy wire stripping and cutting with the same tool. The connectors slide in and out easily providing fast and efficient crimping of cables and connectors. The ratchet system prevents wires from slipping during the crimping procedure. The Fluke Networks modular crimper is crafted with a steel construction for maximum durability. The crimper is only 11.8 inches long and less than 6 inches wide enabling you to get into tight spaces, if needed. Below we have compiled a short list of safety and maintenance tips to keep you safe when using your crimper and enable the tool to last a long time. Always work on stable surfaces. Avoid working in poorly lighting to minimize the chances of injury. You should always have a clear line of sight between the tool and the material you are crimping. Keep your hands and fingers away from the top of the crimper especially when you are applying pressure to your materials. Wearing gloves can offer you more control over your crimping movements. Do not use your crimper on jobs it is not suited for. Do not leave your crimper outside where it may be susceptible to weather damage and rust. Discontinue use if your tool becomes rusted or stuck. Clean the crimper after each use to eliminate moisture and prevent rust. A crimper is an inexpensive hand held tool that can benefit those working with wires. These tools are light weight and compact in size making them easy to transport and store. They are also easy to clean and maintain. Crimpers are very durable, and if cared for properly, can last for years, making them an excellent investment.